Do You Need a Deep Conditioner? Dry hair, split ends, brittle hair, over-processed locks, fly-a-ways, and static can make styling your hair an absolute nightmare, especially in the dry winter months or after spending a lot of time in the summer sun. If you are dealing with these issues on a regular basis, it's time to amp up the moisture control with a deep conditioner. 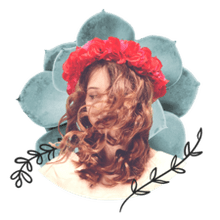 The following pages include some of my favorites, and with options for every hair type and budget, you're sure to find a solution for your dry hair issues. Click through to see them all. Apply an ample amount of your deep conditioner to clean towel dried hair and comb through with a wide tooth comb or your fingers. Cover with a shower cap or plastic wrap and then wrap with a hot towel (fresh from the dryer), or apply heat for a few minutes with your hair dryer. Let the conditioner sit for ten to thirty minutes (or for really dry locks leave on overnight), and rinse very, very well. Some heavy deep conditioners will need to be shampooed out. Dry and style as usual. Ojon Damage Reverse Restorative Hair Treatment has been a clinically proven God-send to dry damaged heads of hair. After just one overnight treatment, this rich, velvety balm dramatically helps restore vibrant health and high-gloss shine to even the most damaged hair. Hair is left soft, silky and with increased manageability. It's also formulated without preservatives, water, artificial color, and silicones. One of my favorite deep conditioner discoveries was the CHI Royal Treatment Intense Moisture Conditioner. Great for all hair types, this intense conditioner is fortified with white truffle and pearl replenishes dry, over-worked, over processed hair all while preserving color and rebuilding hair's strength. Your hair is left soft, smelling like a little piece of heaven, and with incredible shine. Works for all hair types. Organix Renewing Moroccan Argan Oil Intense Moisturizing Treatment is a tall drink of water for your dry or damaged follicles. Argan oil nutrients, vitamin E, and antioxidants come together to infuse your hair's inner health with moisture and shine. Your hair is left feeling lush and full of body without feeling weighed down. I absolutely love this entire line by Organix. Curly hair can be especially dry and frizzy. Ouidad's 12 Minute Deep Treatment Intensive Repair Conditioner has the solution to add moisture and increased manageability to curls and waves. This potent combination of essential amino acids, proteins, and effective moisturizers provides the building blocks for restoring and maintaining healthy hair. When used with heat, the mix of proteins and amino acids effectively penetrates hair to bond with the cuticle, leaving hair revived and restructured. If your hair is dried out, over-processed, and in desperate need of restructuring, this is your product. David Mallett's No. 1 L'Hydration Mask is an effective, luxury solution for hair that needs a deep breath of hydration. The mask contains a powerful vegetable protein in a formula that acts at the molecular level for deeper absorption and increased repair to damaged hair. It's a favorite high-end luxury spa treatment for the hair and is a perfect solution for rehydrating, strengthening, and revitalizing the most frazzled hair. John Frieda's Miraculous Recovery Deep Conditioner is an intense weekly treatment that visibly repairs and fortifies dry, heat-damaged, frizzy hair to help protect against breakage as it moisturizes, silkens and shines. It's an excellent product for overnight reconditioning. Joico K-Pak Reconstructor has a long reputation (and several prestigious awards) as one of the best deep conditioners on the market and is a professional favorite. It contains the highest amount of Quadramine Complex than any other product in the Joico family. Hair is immediately softer, healthier, and shinier after use. Prolonged use results in truly healthier, stronger, and more manageable hair. Pureology Hydrate Hydra Cure Intense Moisture Masque is one of my favorite go-to deep conditioners and another professional pick. Pureology is known for its luxurious products that deliver results. Hydra Cure enriches dehydrated hair with an intense therapy masque. Enhanced with shea, jojoba, mango, and avocado butters your hair will feel instant detangling and shine, deep, long-lasting hydration, and enhanced colour brilliance. If color fade is an issue for you, Pureology has the lock on color with an exclusive AntiFadeComplex that maximizes color retention. Neutrogena's Triple Moisture Daily Deep Conditioner combines the restorative power of a deep treatment with the ease of a quick conditioning rinse in this powerful conditioner for your super dry hair. You'll notice a dramatic improvement in your hair's softness, smoothness, and manageability with this daily conditioner. Extra dry or over-processed hair will even feel soft and smooth all day after your first use. Olive, meadowfoam and sweet almond extracts penetrate the hair strand to defy dryness, condition your hair, detangle and improve shine. When it comes to deep conditioning your hair, sometimes keeping it simple is the best choice. For persistent dry hair, try a coconut oil deep conditioning treatment, which has been argued as a better hair conditioner and reconstructer than any manmade treatment on the market. For a deep conditioning treatment, massage the coconut oil into your clean, damp hair and scalp (if your hair is thinner, you may choose to skip the scalp as the oil could weigh your hair down). 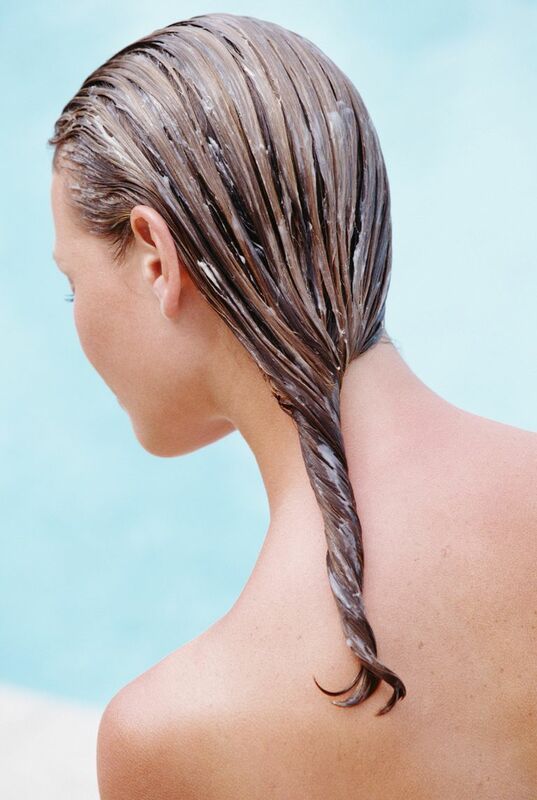 Use more oil on clean wet hair. Apply the oil where your hair is the driest and most damaged (the ends) and less where your hair is healthiest (mid-shaft and scalp area). Allow the oil to sit on your hair for 20-30 minutes and shampoo out using warm water. You can also use a very small amount of coconut oil on the ends of your hair after showering as a detangler. Coconut oil works well for reconditioning dry hair because the molecular structure of coconut oil, unlike other oils or moisturizers, is ideal for penetrating the hair shaft, getting past the cuticle, and repairing damage from the inside out. Lauric acid, capric acid, and vitamin E (all present in coconut oil) help restructure hair, increase hair's strength, and vastly improve shine.